Expressions of interest should be sent to Ms Lisa Hunter-Smith, Australian Centre for Field Robotics, The Rose Street Building (J04), The University of Sydney NSW 2006. Tel: (02) 9351 7126, Fax: (02) 9351 7474, email: [email protected] and should include a CV and academic transcripts. 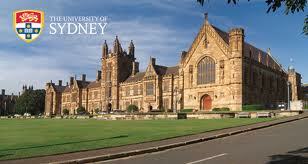 Demikianlah informasi mengenai Rio Tinto PhD Scholarship in Mining Automation, University of Sydney, Australia semoga berguna bagi anda.